A Colorado man lost his RV and many personal belongings in a blaze that firefighters believe his Nintendo Wii could have started. Pellegrin was watching Netflix and tells KKTV that he turned his Wii off when he left the RV. Firefighters thought smoking could’ve been the cause, but have apparently ruled that out and all over possibilities, save for the Wii. 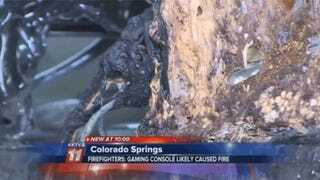 While the Wii is an older console, this is the first I’ve heard of one catching on fire like this. Nintendo has yet to comment on the fire. Kotaku has reached out and will update should the company issue a statement.